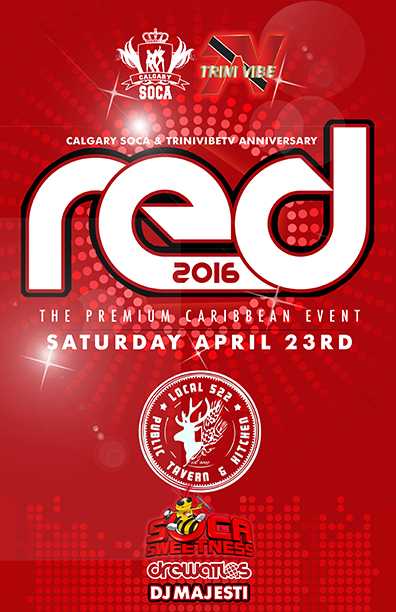 CalgarySoca turned 5! Thanks to everyone who came out to celebrate! For our 5th anniversary we got a new venue, more vibes, goodies, good friends, and great music! Tickets holders enjoyed Champagne, and other 'presents' we had got to giveway (including FREE tickets to do it again on the following Friday at Standard Night Club). 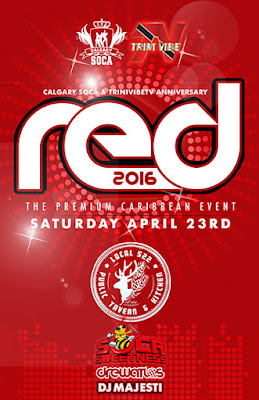 DJ 'Soca Sweetness' was on hand to play alongside CalgarySoca's Drew Atlas and DJ Majesti for a night of the best Soca and Reggae. Its our birthday party, and thanks to everyone that came out...and WORE RED!